Anne has over twenty-five years of land use, management, and environmental planning experience on private land, as well as with local, state, and federal agencies. While she has spent about 19 years working in California, she is a Virginia native. She spent six years as Executive Director of the Resource Conservation District located in Santa Barbara, CA, serving over 1.9 million acres. Prior to that, Anne was the Conservation Director on a 14,000 acre working cattle ranch located along a 9-mile stretch of the Gaviota Coast in CA, and a Land Use Planner with the County of Santa Barbara. 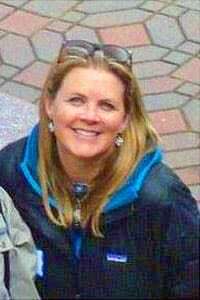 Before moving to CA, she was wrangler in Jackson Hole, Wyoming, and a contract US EPA Clean Air Act Inspector and Auditor for Region 1 (Virginia to Maine). Anne received her Emergency Medical Technician training in Crozet, VA and volunteered as an EMT at Wintergreen and in Petersburg, Alaska. She graduated with a BA and Honors from UC Santa Barbara (UCSB) in Geography and is a member of Class 42 from the California Agricultural Leadership Program. Anne also attended Virginia Tech and Randolph Macon Women’s College. Anne’s coursework has included such diverse topics as Urban Planning, Animal Production, Conservation Ecology, Urban Sustainability, GIS, Environmental Planning, Environmental Law, and Watershed Policy. Lauriston has been with the Thomas Jefferson Soil & Water Conservation District since April 2012. She began getting her feet wet in the Moormans River, facilitating a variety of stations for the Meaningful Watershed Educational Experience (MWEE) program at Camp Albemarle. Her position has since expanded to coordinating the MWEE program with Albemarle County and Charlottesville City Schools. Throughout the year, Lauriston provides in-school soil & water conservation programs. She is the point of contact for the District’s local Virginia Dominion Envirothon, a natural resources competition for high school students. Additionally, she provides community outreach and adult education presentations including rainwater harvesting via rain barrel workshops, and urban and agricultural BMPs along with the many cost-share incentive programs TJSWCD has to offer in Albemarle, Fluvanna, Louisa, Nelson counties and the City of Charlottesville. Lauriston is a certified Watershed Educator, a Virginia Master Naturalist, Leave No Trace certified and serves as a member of the Camp Albemarle Board of Directors. Mary joined the TJSWCD team in August 2016. Mary’s passion for discovery and the natural world led her to major in Biology at Christopher Newport University. Following graduation, Mary worked as an independent contractor for several wind energy companies before switching to a more agricultural path. Her experience working on several farms led Mary to work with the Rodale Organic Agricultural Institute in PA leading no-till weed-management studies. Mary and her husband are Nelson county residents. She is a self-described Naturalist, working for the last several years as an event designer and coordinator. 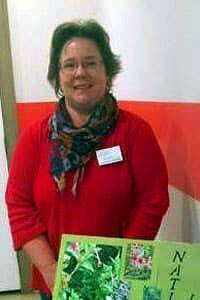 Mary is excited to be jumping back into the agricultural world and is looking forward to working with area producers. 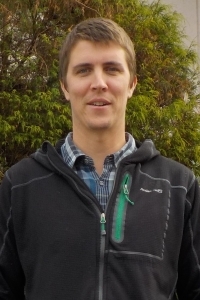 Chris joined the Thomas Jefferson Soil & Water Conservation District as a Conservation Technician in November 2018. 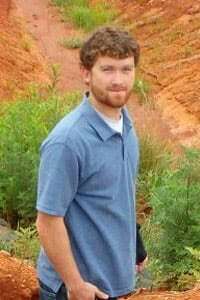 He received his Bachelor of Science degree in Natural Resources Conservation from Virginia Tech. He has been active in the area of natural resource management, outdoor recreation and conservation in various capacities over his career. His primary duties for TJSWCD include inspections and mapping for Charlottesville’s and Albemarle County’s Illicit Discharge programs, coordinating the Rivanna Stormwater Education Partnership, and reviewing erosion & sediment control and stormwater management plans. Chris enjoys his work which focuses in the area between natural resource management and how people interact with their environment and natural world. He is a native of Western Maryland and currently resides in Charlottesville with his wife, but has always been grateful to live in the shadow of the beautiful Blue Ridge Mountains. Lisa moved to Orange County in 2010 after growing up in snowy New Hampshire. 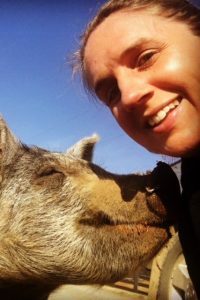 After working in the professional horse industry for most of her adult life, Lisa graduated from the University of Massachusetts-Amherst in 2015 with a BA in Sustainable Business. While at UMass she became increasingly interested in the vital role that agricultural producers play in communities and how the local food economy impacts rural areas. 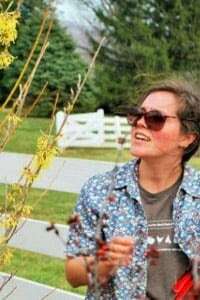 After graduation she worked for the Thomas Jefferson Center for Historic Plants at Monticello where she became interested in the use of native plants in the landscape. She joined the TJSWCD team in 2016. When free time allows, Lisa enjoys tending to her ever expanding vegetable, herb and flower gardens as well as hiking and kayaking with her two rescued dogs from Puerto Rico. Luke graduated from Nelson County High School and went on to major in Fisheries Science and minor in Watershed Management at Virginia Tech. After graduation, Luke interned for USGS before getting a job with the Shenandoah Valley Soil and Water Conservation District as a Conservation Technician. After spending a year over in the valley, Luke moved back to Nelson County and began working for the Thomas Jefferson Soil and Water Conservation District. Luke is very happy to be back in the area he grew up in and enjoys working in the place he calls home. Luke manages all of the agricultural programs for the TJSWCD, and his focus continues to be working with landowners to improve water quality throughout the TJSWCD. 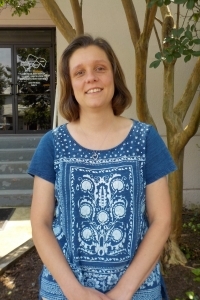 Amy joined the TJSWCD as the management analyst in May 2018. She previously worked as a municipal clerk, handling a variety of local government administrative tasks. Amy is a graduate of Old Dominion University with a BSBA in Accounting. She enjoys camping, music, and historical fiction. Amy and her family live in Nelson County. Tim was raised on his grandfather’s farm in Spotsylvania County. 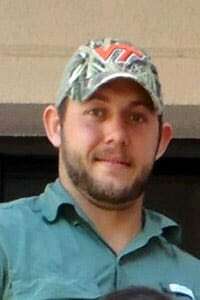 Following his graduation from Spotsylvania High School, he earned a Bachelor’s Degree from Virginia Tech, majoring in in Crop and Soil Environmental Science. Prior to joining the District staff in June of 2016, Tim worked at Dominion Power as an electrician. Tim works out of the TJSWCD Office in Louisa County, providing agricultural conservation assistance throughout the County. He also manages dam maintenance for the flood control structures owned by the TJSWCD. He resides with his wife in Louisa County.